How do you decide what to watch on TV or online? There's just so many interesting programs and variety, it actually makes it hard to decide. We happened upon a new series on the History Channel, The Men Who Built America: Frontiersmen, which has completely captured our attention! 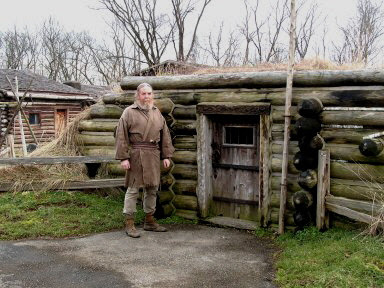 The first episode was about the Revolutionary War, Daniel Boone, and the early Frontier fort of Boonesborough Kentucky. 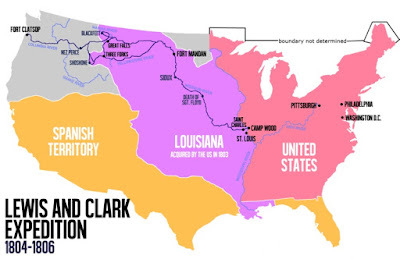 The second episode focused on the Lewis and Clark Expedition with Sacajawea, and this was my favorite episode so far. If you're looking for an interesting series, this just might be one you'll enjoy too. Now here's a funny story: A distant family member and spouse took a long and expensive group trip, which followed the Lewis and Clark Expedition's trail. They loved every part of the trip, and when the couple returned home they attended a small dinner party where they excitedly talked about the Lewis and Clark Expedition most of the night. As one older lady was leaving the dinner party, she thanked the host for having her. Then she turned to the other couple and told them how much she enjoyed hearing all about their friends Lois and Clark's travel trip! Sounds like an interesting show. that is a funny story about Lois and Clark. I have one too, my grade 10 accounting teacher, looked like Clark Kent, it's no secret , I had a huge crush on him. I don't think he knew we thought (teen girls) he looked like Clark, but when ever he asked me a question, he always called me Lois, I answered, 'cause I'd be his Lois any day. I think he must have known about the Clark and the crush! My 7th grade history teacher got hold of a note I'd passed to my best friend Margie. We thought we were sly and always used the names Sam (me) and Maggie (her) when writing notes. He started calling me Sam, and my dad thought it was so funny that he started calling me Sam. Dad never called me anything but Sam until his dying day. you may be right, years later, when I was already married, I saw him, well, I'd dump my husband in a heart beat. Sounds like an interesting show. I have little time for television these days. Prefer reading.... Funny story about Lois and Clark! I just sent your link to my hubby. He would love that show! Have a wonderful weekend. It is a wonderful series. We have been DVRing it. 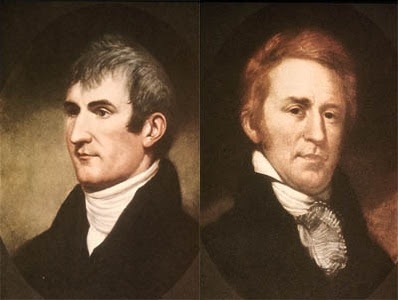 My husbands' mother's family are from the Gap - there are stories (written) about Daniel Boone showing up at their ancestors home when going through the area. Funny story at Lois and Clark. That's a good one! That's a GREAT story about Lois and Clark. I haven't seen this one but did see Ken Burns' documentary and it was fascinating. Beautiful cinematography, too. It is a wonderful real-life adventure. That's ridiculous and this looks very interesting. I love history and so does my husband. This would be a win-win for both of us! Thanks!